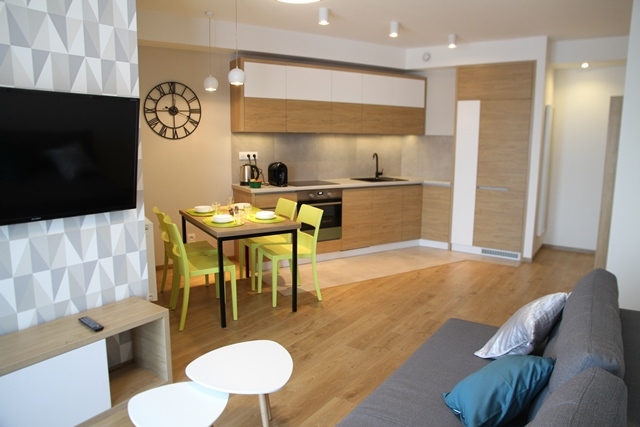 The apartments are located in the very center of Krakow, at 34 Pawia Street , 5 min on foot from the Main Market Square and 15 min from the Wawel Castle, nearby the Main Railway Station and the biggest Shoppping Mall in Krakow – Galeria Krakowska. 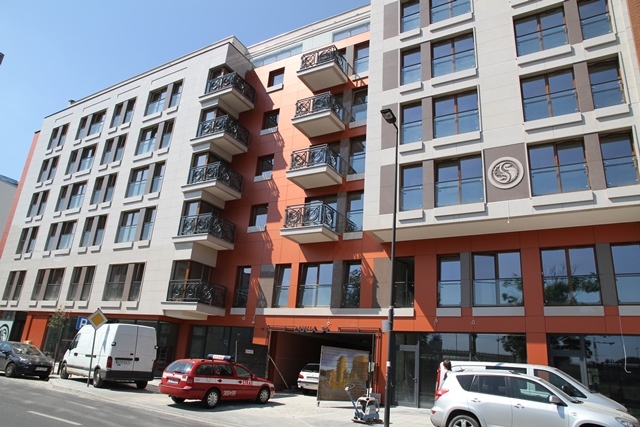 All apartaments are brand new and located in the new building equipped with silent – running lifts, surveillance cameras and 24-hour guard as well as porter’s lodge. In every apartment you will find air conditioning which will enable you to rest during hot days, wireless Internet and fully equipped kitchen. 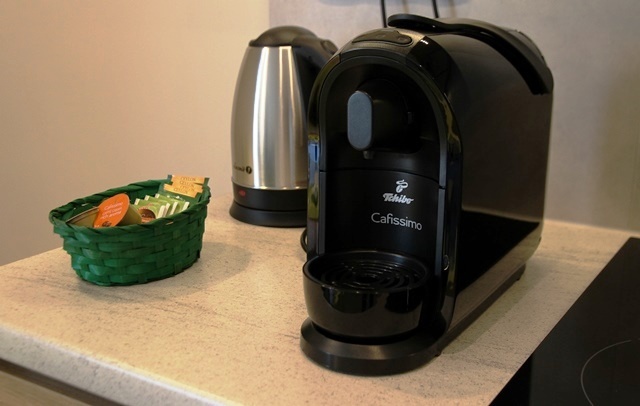 In every apartment you will find the modern coffee machineTchibo Cafissimo Pure. You only have to press one of the three coffee buttons and the aromatic espresso, caffe crème or filter coffee will be ready for the breakfast.